dwarf creeping species with unusual mauve/green/yellow flowers and large pinkish fruits. Suitable for growing as a rock plant. 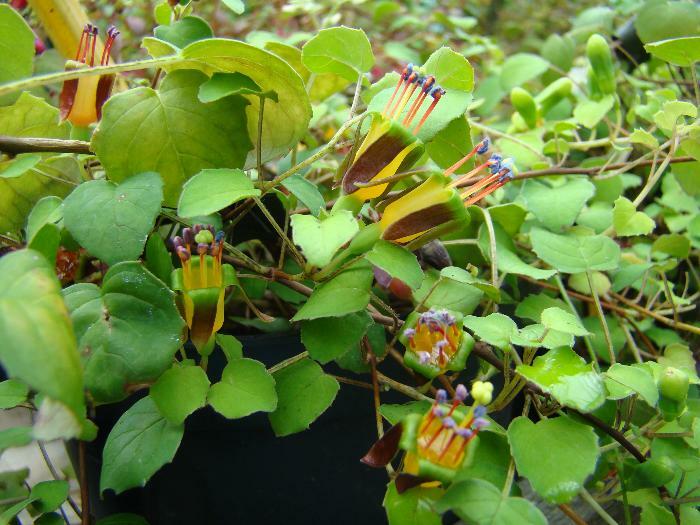 See photos of Fuchsia procumbens in real gardens.